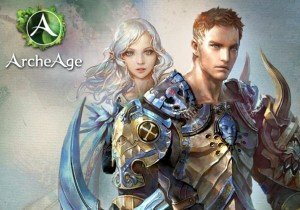 Trion Worlds has revealed that the next phase of the ArcheAge: Legends Return Fresh Start servers is on the way. The Reign: Part 1 phase will have players able to access both the Dwarven and Warborn races, Mistsong Summit and more content alongside it. This phase is scheduled to begin on the Fresh Start servers on July 18th, 2018. Reign: Part 1 raises the fresh start level cap to 55 and unlocks Dwarves and Warborn, their starting areas, and quest chains. Players will be able to explore Airain Rock, Aubre Cradle, and the Sunbite Wilds as they experience the series of quests and lore unique to the Dwarven and Warborn races. In addition to the new races and raids, other upgrades are also coming to the legacy servers, and these changes will not only introduce new features and updates to existing systems. An example of this are Paloth’s Crystals, which gives free-to-play players a way to earn mounts like the Typhoon Drake, Frost Dragon, or Hellwing Pegasus mounts via completely in-game means. Rare drops that can be gained via Golden Crates acquired from world bosses, Shadow Invasions, and more, these Crystals can be used to craft in-game mounts and mount armors that were previously only available in the ArcheAge Marketplace. SMITE Lore: Who is Bellona?